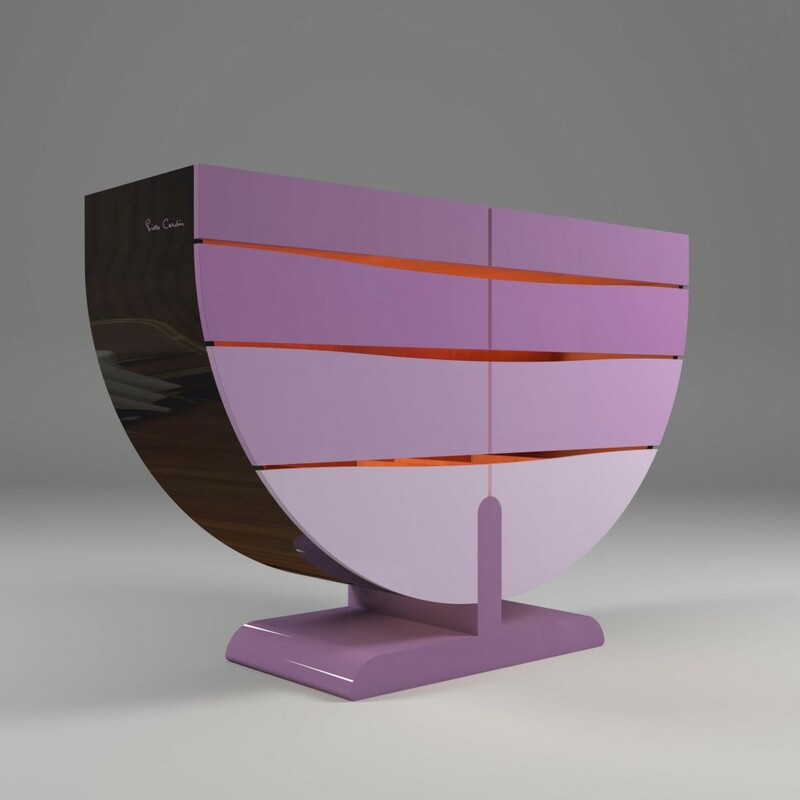 Demi-lune is based on one of the most characteristic shapes in the world of Cardin, reinterpreted in a less imposing version thirty years later. It has the unique feature of a seemingly fragile support system that holds the half-moon and its eight spacious drawers in “suspension”. See the full Demi-Lune series gallery.